Pharmaceuticals floor needs to be free from allergens and dust. 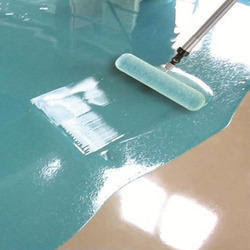 Epoxy acts as a concrete floor sealant. They are safe and easy to clean, preventing microbial growth. The floor coatings of companies manufacturing medicinal drugs should manage to resist most oils, acids, and solvents. Also, the coating must be resistant to abrasion and impact since the plant’s floors could easily be exposed to heavy traffic from hefty tools and machinery. A type of floor coating that can surely offer durable and hard wearing solutions is the epoxy flooring. This type of floor coating can be applied to concrete floors to ensure a high performance as well as an attractive surface. Epoxy consists of epoxy resins and hardening agents. These may sound like a bunch of scientific jargon thrown together but it is the secret behind industrial-grade durability of the floor. Epoxy resins also called polyepoxides are a polymer (a large molecule made of repeating small units) made of epoxide monomers. These resins can be crosslinked either by themselves or other agents such as phenols, acid anhydride, etc through a process called curing. These other substances are called hardening agents or curative. Epoxy flooring is basically deposition of an industrial epoxy coating on the floor at least 2 millimeters thick. The result obtained is so strong and durable that it finds industrial application, especially in pharmaceuticals. It is required to have a hard wearing, high gloss, and durable surface for your pharmaceutical structure, Epoxy flooring offers a wide range of benefits from installation to maintenance. Floor areas with epoxy floor coatings can easily be wiped free of dust, dirt, and debris. Pharmaceutical preparations can create a great deal of mess, and epoxy flooring is the way to go. Epoxy is a thermosetting resin which forms tightly linked cross-polymer structures. This makes it uphold its toughness and strong adhesion. When used as floor coatings, any floor surface can stand the test of time. When the commercial epoxy floor coatings dry, a high gloss surface shines which could come in various colors and styles. There are a lot of colors and design options available that will suit your liking and the theme of your building. Epoxy is composed of hardeners and resins. Once combined, these components chemically bond and lead to a chemical reaction that forms a rigid and strong plastic material which is chemically resistant. This feature is perfect for warehouses, manufacturing plants, and industrial plants. Epoxy floorings provide solutions that are the impact, slip, heat, and fire resistant. The brightness of the whole working space can also be boosted by 300% because of this high gloss floor coating. Because of its wide color options, you can use different colors to indicate forklift traffic zones, safety zones, and other pharmaceutical work zones. When epoxy flooring is used in a warehouse, factory, or industrial plant, the wear on the transport vehicles can be reduced. Also, the material movement can be made faster without causing damage to the floor. This eliminates the usual unnecessary problems in the workspace. The installation is super easy for professionals as it’s a self-leveling product. 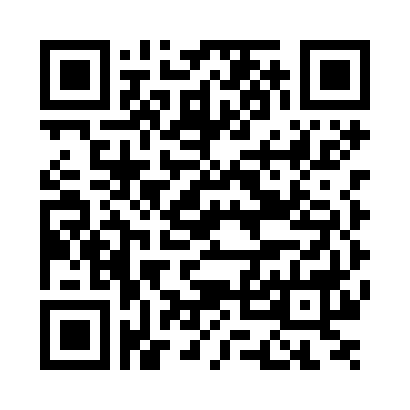 You can save a great deal of productive work time here. Most flooring options that are not as durable as epoxy tend to easily wear and tear. However, with commercial epoxy floor coatings, you no longer have to keep up with the maintenance costs. Tiny crevices in the usual flooring tend to have small pockets of the favorable environment for bacteria and other microorganisms to grow. Bacterial growth is further supported by the relative difficulty in cleaning these areas. This limitation of conventional flooring is eliminated with the seamless and crevice free option of epoxy flooring. Therefore, not only is this easy to clean and maintain but also helps to maintain a sterile environment. The durability of epoxy is questionable. Can anyone suggest better alternative especially in Class C & D areas. @ sandeep gill: You can also consider polyurethane based flooring.